"Regular Route" Half Dome Yosemite National Park, California. 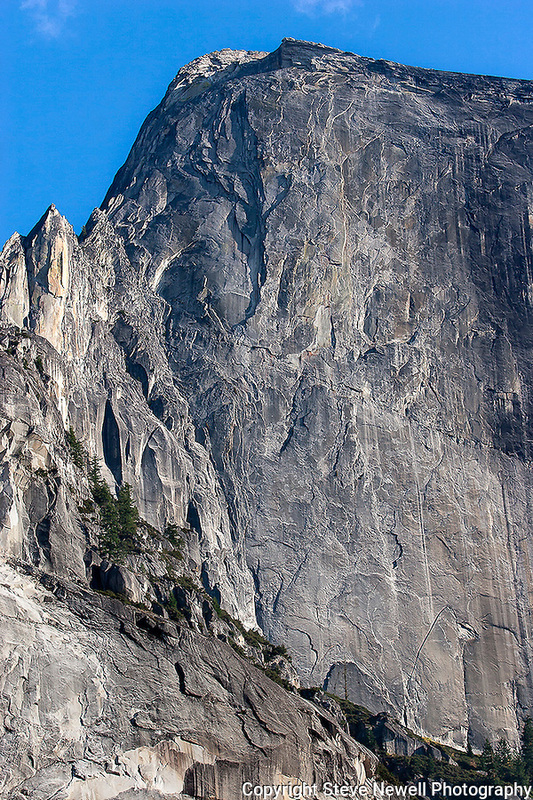 A close up of the "Regular Route" which is the name of first climbing route up the face of Half Dome. The first time I climbed this route my partner and I spent two nights on the route and three days to climb it. I came back ten years later and climbed it in 17 hours. During the Summer months when your on top you can look down the face and see climbers coming up the route regularly.